That time the 4th of July got me all inspired…. 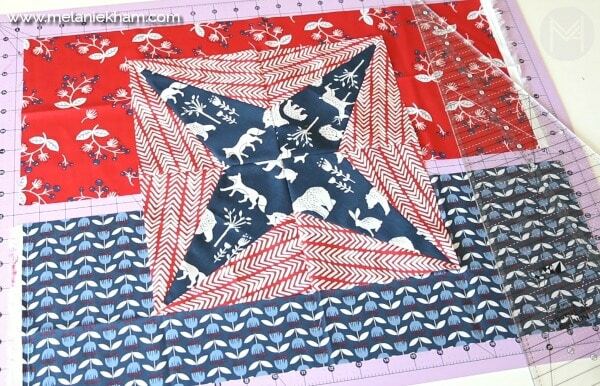 Time to make a firework quilt block! I love July 4th. It’s right after my birthday and such a fun holiday – so it feels like I get to have an extended celebration. My kids go absolutely bonkers over the fireworks and it inspired me to make this quilt block in this super appropriate fabric choice. It’s been several years since I made this block, so it was fun to dust off this technique! 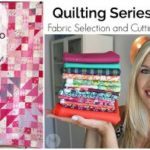 Let’s learn how to make a firework quilt block! Get your free PDF HERE!! *These measurements create a 6 inch block, you need 4 of these 6 inch blocks to create the overall block which measures 11.5 inches unfinished. 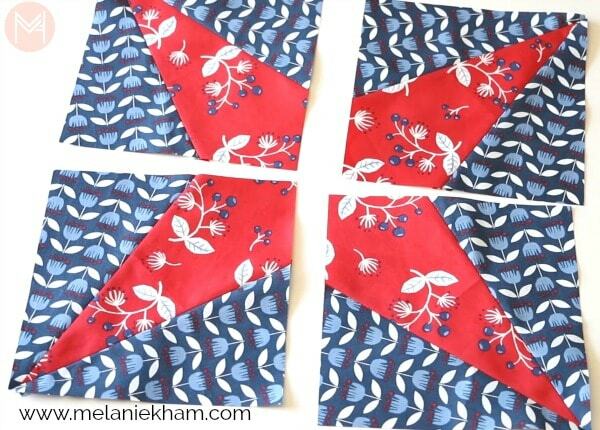 Cut 4 30 degree triangles from the 8.5 inch fabric A strip. 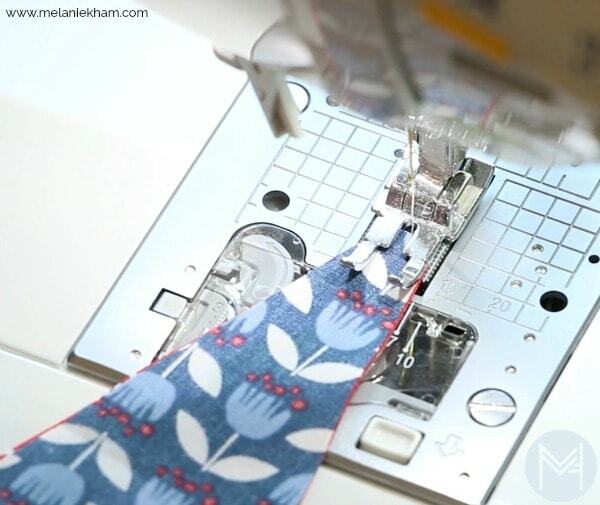 Line up the tip of the ruler with the straight edge of the strip of fabric and cut with rotary cutter. Flip the ruler around to use the same angle already cut, line up the angled cut and the tip of the ruler and cut again. Repeat cutting with the 7 inch fabric B strip of fabric. You need 8, 30 degree triangles. 3. 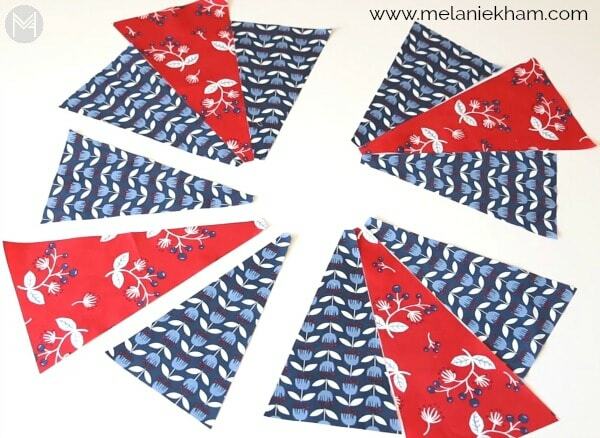 Match up the tips of a fabric A and Fabric B triangle. Sew using a scant 1/4 inch seam. Finger press the seam open at your machine, take the other fabric B triangle and match up the tips, sew down again with a 1/4 inch seam allowance. 4. At the ironing board, press the first seam you finger pressed open first and then press the other seam open. 5. 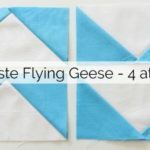 Take a square ruler with a diagonal line and line up the 2 fabric B edges just outside the 6 inch mark making sure the diagonal line is going right down the center of fabric A. Trim along the right and top of the ruler, flip block around and line up the cut sides with the 6 inch marks on the ruler. Include the line when you measure. Cut along the right side and on top. 6. Repeat steps 3-5 to make 3 additional blocks, for a total of 4. 7. Arrange blocks as you like, place the bottom 2 blocks right sides together and pin at the seam. Do the same with the top 2 blocks. 8. 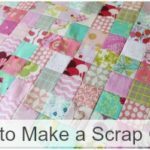 Sew these blocks together using a scant 1/4 inch seam. 9. 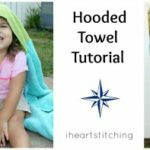 Open up those sew blocks and finger press seams. Place star right sides together and pin at the center seam and 2 other seams to keep those points together. 10. 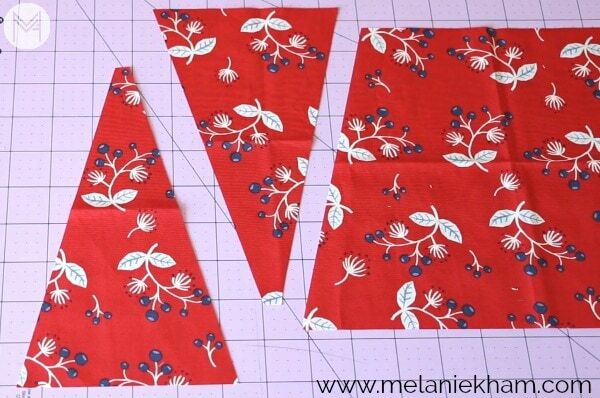 Sew the 2 halves together using a scant 1/4 inch seam and press. Firework quilt block complete! Enjoy!